Welcome to my home page. Most of what I do is in Danish: articles, radio reports, books as well as commentaries on Asian affairs. Also I lecture, moderate conferences and teach international journalism, human rights and the media, openness and access to information etc. – in both Danish and English. See below for selected articles in English. Read the full article by hitting the pink title. Much of my work focuses on Asia: China, Vietnam, Laos, Cambodia, Mongolia and Burma in particular, and also as a sort of common denominator of most of these countries, The Mekong River – Mother of Waters. 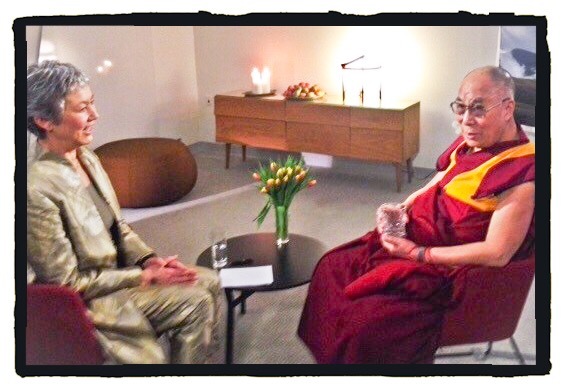 My subjects are many; mainly human interest from the perspective of politics, culture and human rights. Contribution (in Danish) to photo publication by Niels Bjørn on China’s Mega Cities, Livet i Kinas kæmpebyer, 2016. When I saw a photo the other day in one of my Danish newspapers of a man on an overpass, literally spitting on Syrian refugees walking below, just off the ferry in Denmark, I felt acute pain and deep shame. Because this is not my country – or it isn’t what I believe my country is and ought to be. Blog post from my stint as Incidental New Yorker 9 September, 2009. At this point in history, a special art in China is to find or create a space in which to work and exist – outside the established spaces. Criticise, create, have fun, enjoy – beyond the censors’ comprehension, beyond their restrictions, sanctions and punishment. China is investing massive amounts of money, energy and prestige in creating a new impression of herself, internally as well as to the rest of the world. CCTV International tries to challenge al-Jazeera, BBC and CNN on global news coverage. The good old communist propaganda mill is developing into a sophisticated narrative through an almost unlimited variety of outlets, be it museums, history books, cinema, sports, business or – in particular – media. The state recently invested 45 billion yuan in the flagship media. What is China trying to get across? What are we meant to make of it all? The air is hot and humid in Kompong Thom prison in Central Cambodia. The old walls are peeling. The prison was built by the French colonial power in 1900. Only one wing has been restored, thanks to aid from Australia. The prison is noted jokingly all over the country as the one with the ‘holes in the walls’ – the one from which escape is easy. A broad, rectangular hole (it is really only a slot) was built into the wall; this is where prisoners receive visitors, out in the open and under constant surveillance by the guards. Being rich in China today is glorious; capitalists are members of the autocratic Communist Party. The number of dollar billionaires more than quintupled in less than a year. Economic gaps have become enormous, and only because they cannot afford the treatment, poor people die from diseases that could have been cured. 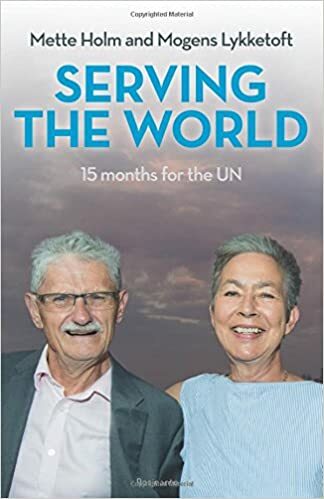 After 15 months’ service at the UN, the couple give an introduction to the UN, its special action areas and point to the future and future challenges of international cooperation. Relevant not least in these times of Donald Trump. Also, they give an engaged and inspiring account of their work as President and ‘First Lady’ respectively of the UN 70th General Assembly. La Chine – chemin faisant, Esprit Ouvert, 2008. Avec Mogens Lykketoft. Photo documentation by 43 Copenhagen citizens armed with an instant camera and assigned with specific motifs; e.g. “my home,” “my friends,” “my family” and also more subjective topics: “something I wish for” and “something I don’t like” etc. Edited by Susanne Mathiesen and myself. A large selection of the photos was exhibited in Copenhagen City Hall. See the comprehensive catalogue in pdf here. Further info. Mekong River – Mother of Waters, MRC 2003. The Mekong River traverses most of “my” countries in Asia, China, Burma, Thailand, Laos, Cambodia and Vietnam on its way from Tibet to the South China Sea; countries in which I have travelled and worked extensively. 70 million people along the river depends on it completely for survival. Some still live like did their ancestors in medieval times, others live off highly industrialised fishing. Each and everyone regards the river as sacred, and they know and respect its whims. I have travelled many different parts of The Mekong in several different vessels. This book – text as well as photos – is the result of these travels. Originally published in Danish in 2001. Acquire it here. Experienced writer and journalist as well as teacher of journalism and trainer with some 20 years in Print, Radio/TV, education and public information – in English as well as Danish. Mette Holm frequently comments on Asian affairs. Specialised in Asian affairs, with particular focus on humanitarian issues, human interest and political affairs, ranging from local politics to social and international affairs. 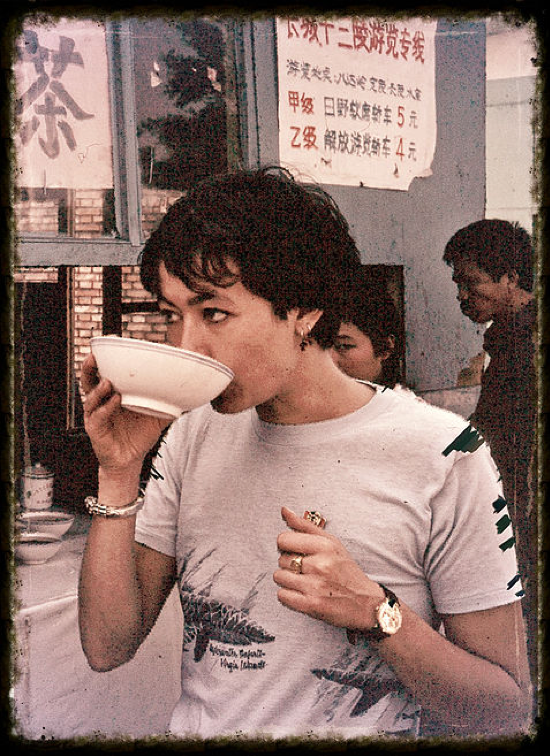 She has worked extensively in China (incl. Taiwan), Vietnam, Laos, Burma, Cambodia, Mongolia and to a lesser extent in Japan, Malaysia, Thailand as well as Cuba, Zimbabwe, Brazil, Georgia and a number of other countries. She has taught various subjects at The Danish School of Journalism in Aarhus (in English) as well as Greenlands’ School of Journalism in Nuuk. She serves as external examinator at several of the Danish educational institutes of journalism and moderates conferences (mainly international; on Asian affairs or human rights issues such as combatting torture, access to information, human rights jurnalism in general etc.). She has written several educational and analytical books and has contributed to many others on Asian affairs. She is a frequent lecturer and speaker on Asian affairs and human rights. Associate Senior Fellow at NIAS, Nordic Institute of Asian Studies in Copenhagen Board member at Levende Menneskerettigheder/Human Rights in Action Open Fun Football Schools – CCPA, Cross Cultural Project Association. Education and training * Studies in Anthropology, University of Copenhagen, 1978-83. * Chinese studies, Beijing Foreign Languages Institute, Beijing, PRC, 1981-82 * Diploma in Journalism, the Danish School of Journalism, 1987. * Radio and TV production courses, Danish Broadcasting Corporation (DR), 1988-1990. * Several professional journalist courses ; i.a. in Japan, UN system (New York), Cuba, EU (Bruxelles, Strasbourg), Middle East (Istanbul, Damascus & the Lebanon) 1989-2003 * International Visitor (individual IVP) in USA, 2000. * International human rights course at DIHR, Copenhagen, 2003.